Where Does Fast Food Meat Come From? Where Does Fast Food Meat Come From? Our American economy is based upon capitalistic ideals. Capitalism with social safety nets has helped make America one of the greatest (if not the greatest of the) countries in the world. Goods and services are provided by businesses for the consumption by American consumers. The businesses that can provide these goods and services to the consumers fastest and for the least amount of money are usually the ones that prosper and make a lot of money. As consumers, we have grown to expect our goods and services to be cheap and easy to obtain. The food industry is no exception. 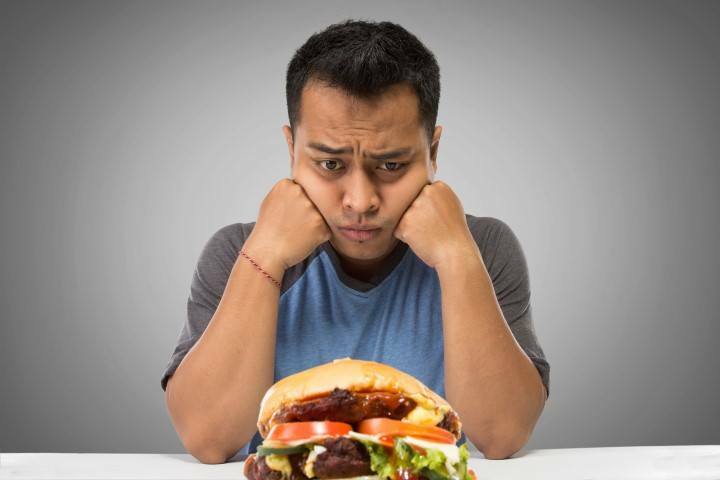 More than any country in the world, Americans demand quick, inexpensive food. 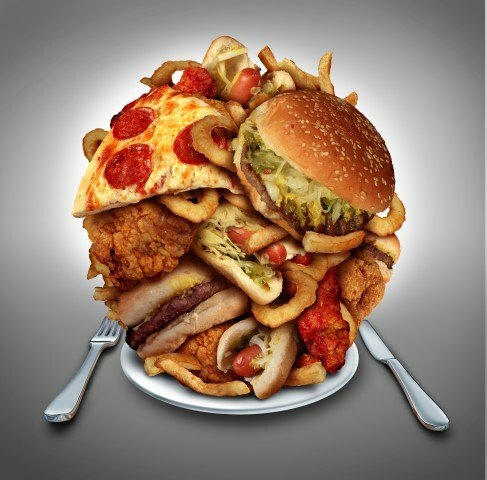 The fast food industry was created and developed in the U.S. and reigns supreme on American main streets, strip malls, and expressway off-ramps. However, what does our insatiable desire for fast, inexpensive food mean for the animals from which it comes? Farm animals today are not raised on the spacious green pastures that were common on family farms of the past. In order to meet the heavy consumer demand for cheap meat, they are raised in extreme confinement at industrial facilities called factory farms. These “farms” contain exceptionally large numbers of animals cramped into foul-smelling indoor industrial enclosures. The aim of factory farming is to maximize profits by raising the largest amount of animals in the smallest space possible at the lowest cost feasible. Factory farming inflicts more suffering on animals than any other industry in the world. In addition to confining them in spaces where they can hardly move, these facilities lack all the natural stimulation animals would normally experience in a natural outdoor living environment, the kind God designed for them when he created the world. If these torturous living conditions weren’t bad enough, undercover video footage taken at these factory farms has revealed an industry-wide accepted culture of abusive behavior towards the animals by the factory farm employees. But how can this be? 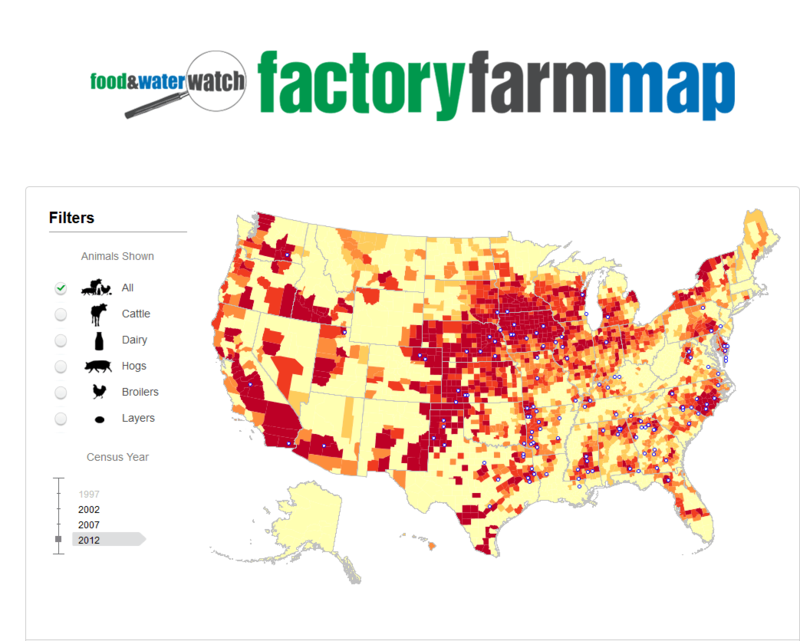 Almost all factory farms are located in rural America, where Christian ideals and evangelical culture is prevalent! Whatever the answer to this question may be, the fact is that, unfortunately, other than the owners and workers, most consumers do not know about the terrible conditions on factory farms. Fast food companies have kept their reality out of the public eye by marketing their products with misleading packaging, showing happy animals lounging under the sun on lush, green farm pastures. They produce television commercials with talking animals promoting bacon, steak, and dairy products, as if the animals want to be slaughtered for human food instead of living their lives in God’s creation with their families. For wealthy fast food companies, keeping the truth of what happens behind the closed gates of factory farms is of extreme importance. It allows them to make billions of dollars each year without their consumers knowing about the horrific treatment of the animals, which, if they knew, they would undoubtedly criticize. The truth is simple, factory farms are dens of profound animal abuse created to maximize fast food corporate profits at the expense of animal welfare and the environment. Pigs are extremely intelligent and social creatures. In the natural outdoor environment that God intended for them, they spend countless hours playing with their friends and family members, rooting in the ground for food, bathing in the sun and exploring their surroundings with their keen sense of smell. 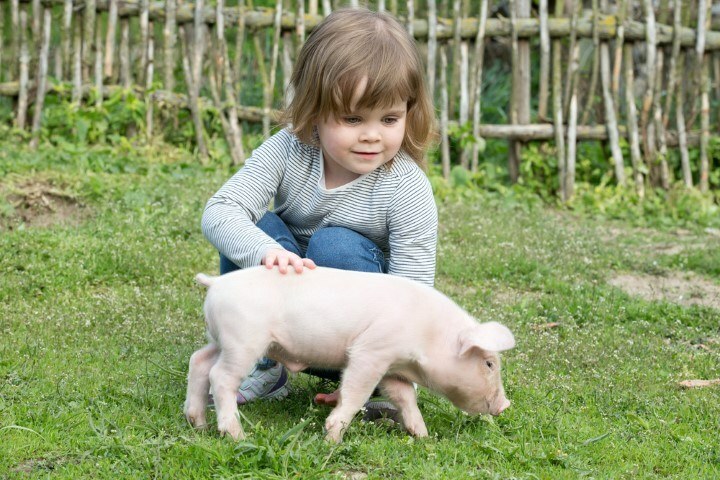 Many animal behaviorists have concluded that pigs are fully aware of their own existence and are even more intelligent than dogs. Piglets form friendships with other piglets that last their entire lives. They engage in complex tasks and even develop their own special language and mannerisms, much like human children. By the time piglets reach adulthood, a cooperative and elaborate hierarchy has been developed within their social group. Pigs take pleasure in doing things they enjoy and, like us, want to continue experiencing and enjoying their lives. Factory farms in the U.S. raise about 100 million pigs for food each year. These facilities are known for their cruel, intensively cramped conditions. Pigs on factory farms do not experience fresh air until the last day of their lives when they are transported to slaughter. Female pigs, or sows, are artificially inseminated repeatedly, often severely confined in gestation crates barely larger than their bodies, then separated from their babies soon after giving birth. These breeding mothers suffer terribly, both physically and mentally. As soon as they are no longer able to give birth to the required number of piglets, they are sent to slaughter. Do you think this is how God intended mother pigs to live? Swine factory farms are rife with disease. The crowded, unsanitary conditions and elevated levels of ammonia from the urine and excrement make for an environment prone to bacteria, viruses, and other airborne illnesses. Almost 70 percent of all pigs have lesions on their lungs at the time of slaughter, after only six months of life. In 2009, the deadly H1N1 virus pandemic or ‘swine flu’ killed over 200,000 people worldwide with some estimates putting it as high as half a million people killed worldwide. 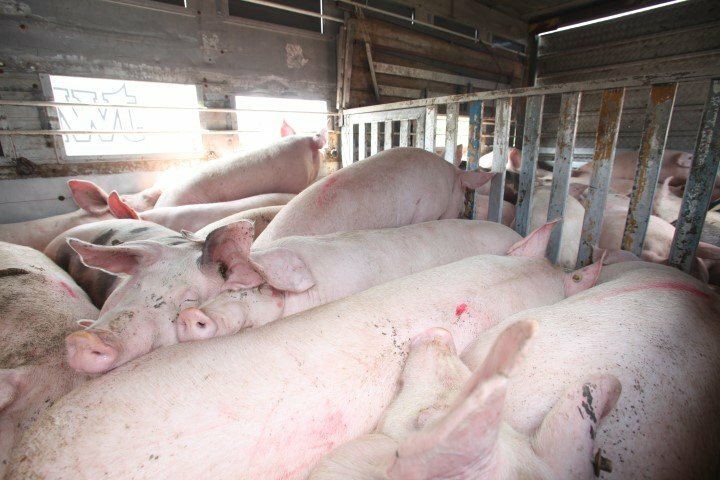 Numerous research institutions including the Center for Disease Control, The University of Edinburgh, and The St. Jude Children’s Research Hospital cited over-confinement of factory pig farms as the source of the outbreak. This might make us question, Is Eating Meat a Sin? Like humans and other mammals, cows only produce milk as a result of being pregnant and giving birth. Their milk is meant for their calves just as human milk is meant for human babies. Because male calves will never produce milk, millions of them every year are sold to the beef industry days after birth and raised in tiny enclosed stalls for veal. Horribly abused, veal calves are often forced to wear heavy chains to inhibit them from becoming overactive in the stalls in order to keep their meat tender. They are kept in near total darkness to keep their flesh pale. Many stalls are so small the calves can’t move their heads or turn around. This is to prevent them from building muscle. When taken to the slaughterhouse, some calves aren’t even able stand up or walk to the truck because their muscles are so weak and underdeveloped. 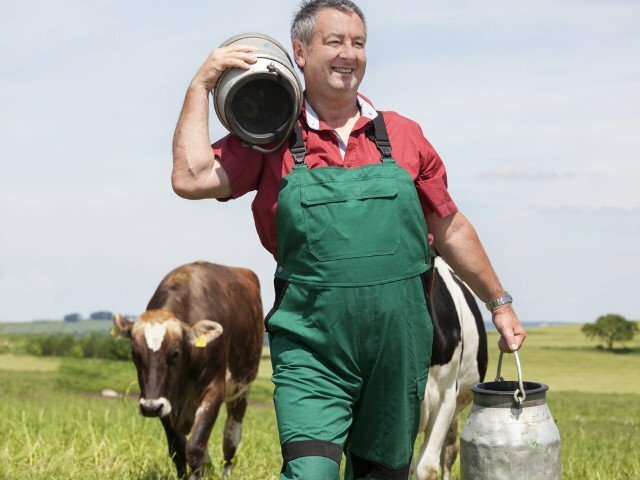 To keep the milk flowing in dairy cows, factory farm personnel artificially inseminate them once a year. When a calf is born, he or she is removed from the mother within a day or two to make the mother’s milk available for human collection and consumption. Just as it is with a human mother, a cow’s natural urge is to be with her child after birth, to nurture and love. To deny this mother-child bond is to deny one of the strongest bonds in all of God’s creation. Any worker in a dairy factory farm will tell you: it is common for mother cows to moan and cry incessantly for weeks after their calf has been taken away. 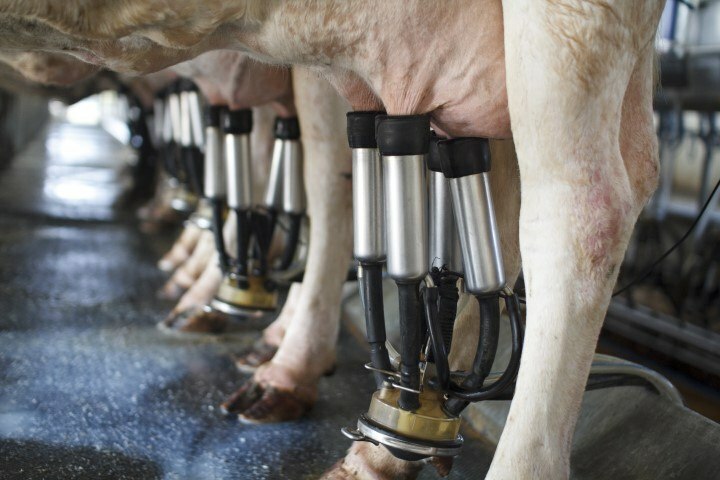 Most dairy cows are kept indoors, where they are forced to stand on hard, concrete surfaces, which contributes to inflamed feet and hooves. The unnaturally elevated levels of milk in their mammary glands often leads to mastitis, a painful infection that causes a cow’s udder to swell. Without any form of painkillers, dairy cows on factory farms often have a large portion of their tails surgically removed and have their horns cut or burned off to keep them from injuring other cows due to the depression and stress they experience on a daily basis. In nature, dairy cows can live up to 20 years but never live that long on a factory farm. On average, they are slaughtered at four years of age, when many begin to develop significant illnesses, and their milk production begins to slow. Hens used for egg production are horrifically abused their entire lives. God created chickens as very sociable animals who like to forage for food, take dust-baths, lie in the sun, perch in trees, nest, and take care of their families. In Matthew 23:37 and Luke 13:34, Jesus refers to himself as a mother hen. In egg production factory farms, however, these hens suffer greatly, unable to exhibit the range of behaviors that come naturally to them. Because male chickens (roosters) born in egg production hatcheries don’t lay eggs and are not used in the meat, they are killed the day they are born. Within hours of their birth, they are ground up, electrocuted, or gassed to death. Over 250 million male chicks are killed in the United States every year. The female chicks, on the other hand, spend their entire lives in tiny wire ‘battery’ cages, not once stepping outside or feeling the earth beneath their feet. Even ‘free-range’ chickens are often kept inside massive crowded sheds without ever going outside. Battery cages commonly hold 5–10 chickens, each hen given the equivalent of less than an 8 ½ x 11-inch encaged area to live her entire life in. The lack of stimulation and cramped conditions of the cages create tension and stress between the hens, so they are debeaked at a young age before entering the cage. A portion of their beaks is seared off with a burning hot blade so they will not injure the other hens or themselves. The hens live their entire lives standing on a wire floor and rubbing against the cage, causing severe feather loss and debilitating bruises and abrasions. Because the cages are organized in rows placed on top of one another, the waste of the chickens continually falls on the chickens below. The facilities are filled with the putrid smell of excrement. Despite her God-given natural life-span being ten years or more, as soon as a hen’s egg-laying output begins to decrease, she is killed. This normally happens between one or two years of age. Each year, broiler factory farms in the United States raise and kill approximately 8.5 billion chickens for meat. They are housed in large sheds of 20,000 chickens or more, crammed together on the shed floor in their own waste where the high ammonia levels irritate and burn their eyes, throats and skin. Factory-farmed broilers grow unnaturally fast and disproportionately large due to genetic modification, excessive feeding, and inadequate exercise. They look very little like their chicken ancestors from just a couple of hundred years ago. Their breasts grow abnormally large while their skeletons and other organs lag behind. Most have trouble breathing while many others suffer heart failure, leg weakness and chronic pain. Many cannot support their own weight, and their legs break under the weight of their bodies. They become crippled and are unable to reach food and water. 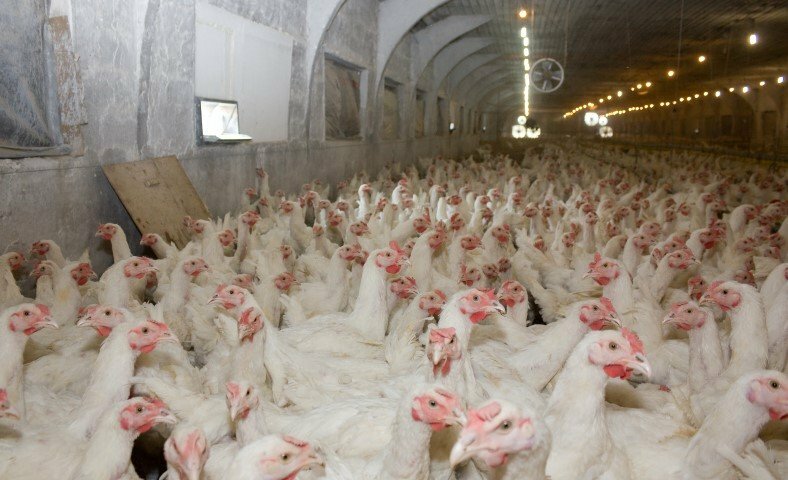 To keep the broilers eating and growing as much as possible, factory farms restrict their sleep by keeping the interior lights of the shed on most of the time. Because the floor is so cramped, the chickens fight for space, making sleep even more difficult. 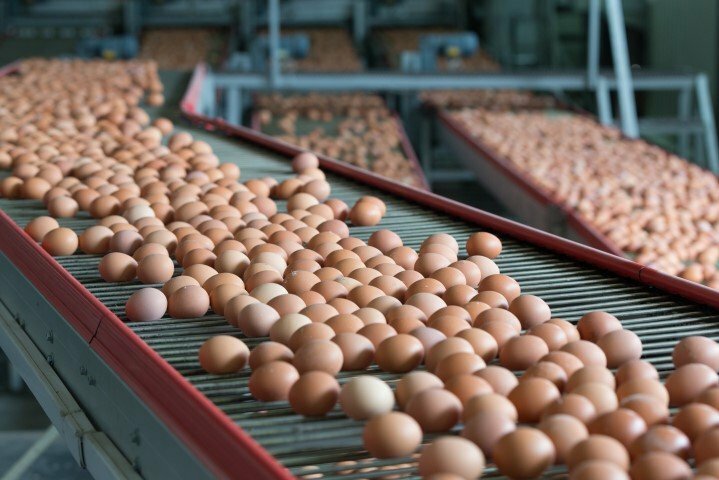 Some chickens die on the warehouse floor, their bodies often left among the other broilers, adding to the overall stress and unhygienic conditions. Undercover video footage in broiler factory farms has repeatedly revealed hundreds of thousands of chickens crammed into filthy, windowless sheds, with no room to move and living in their own waste. The footage shows chickens being painfully beaten, stabbed, and impaled by workers using makeshift clubs spiked with nails. Some footage has even showed owners of the farms stepping on the heads of live chickens and pulling at their wings to break their necks. Cattle raised by the beef industry on factory farms live very stressful, difficult lives, enduring all types of extreme weather conditions. The majority of their time is spent in their own waste on muddy feedlots without pasture or shelter, one of thousands packed in a cramped enclosure. In 2013, approximately 32.4 million cattle were slaughtered for beef in the United States. Calves are usually separated from their mothers a couple of weeks after birth. It is common for young calves to develop acute throat irritation resulting from repeated crying for their mothers. After this separation, they have to endure a number of painful mutilations, including dehorning, castration, and branding. Even though these procedures are known to produce fear and pain in the calves, anesthesia is rarely provided. Male calves are castrated at a young age because it is thought it improves the meat quality and tenderness. Methods include removing testicles surgically with a scalpel, crushing spermatic cords with a clamp, and constricting blood flow to the scrotum until testicles die and fall off. Each method causes pain that can last for days but painkillers are rarely used. A cow’s natural diet is grass. However, to increase their weight, at the feedlot they are forced to consume an abnormal grain diet that is very hard on their digestive system, causing chronic illness, pain and, occasionally, death. 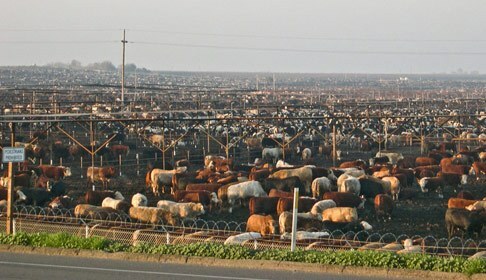 Once they reach “market weight,” cattle in the beef industry are trucked from the feedlot to the slaughterhouse. The Humane Methods of Slaughter Act requires that livestock be rendered insensible to pain before shackling and slaughter. However, investigations have found that some animals are still fully conscious when they are killed. Cattle can live upwards of 25 years, but beef cattle are generally killed for their meat at just two years of age. How in the world can we as Christians stand by, doing nothing, as this depraved, horrific industry is allowed to continue? Moreover, how can we look ourselves in the eyes, knowing that we ourselves are causing the demand for quick, cheap fast food, which is the very reason why factory farms exist? Can we really look at what goes on behind the doors of factory farms and actually say this is what God intended for his creation? As knowledge of these horrific facilities is becoming more widespread, some Christians are making the move away from factory farmed food at fast food restaurants. Then God said, "Behold, I have given you every plant yielding seed that is on the surface of all the earth, and every tree which has fruit yielding seed; it shall be food for you; and to every beast of the earth and to every bird of the sky and to every thing that moves on the earth which has life, I have given every green plant for food"; and it was so. God saw all that he had made, and it was very good. And there was evening, and there was morning—the sixth day. 1) Encourage fast food companies to sell plant based meats like the Beyond Meat Burger or the Impossible Burger. For example, White Castle is currently selling the Impossible burger in select locations. It is exceeding all expectations with customers. Give it a try when it comes to your White Castle. 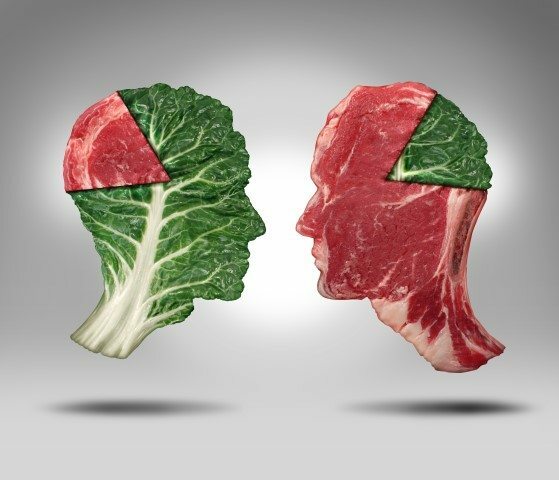 2) Instead of eating like the right side of this picture, eat like the left side of this picture: Consider vegan before 6, weekday vegetarian, Meatless Monday, or some other strategy to limit meat consumption. 3) If you love meat, eat plant based meats. I eat the EXACT same way I used to eat but I just eat meat replacements like the Impossible Burger, Beyond Meat Burger, Quorn Chicken, and so on. Not only do I feel much better from a health perspective and not only are my blood test results excellent, but I also feel great knowing how much I am doing for the environment, for the animals, for other people, and for God. 4) Use milk replacements. Almond milk, rice milk, or soy milk are great alternatives. Also support Perfect Day Foods which is creating milk without the cow. Unlike milk replacements, this is basically the same end product of milk (casein and whey) but without the cow. 5) Try to limit the number of eggs consumed but if you do eat eggs, try to buy pasture raised (not just cage-free/free-range) eggs. 6) Try to remember that the amount of suffering of every animal product is not equal. In order of most suffering to least suffering, the order is as follows: Chicken > Eggs > Pork > Beef > Cheese > Milk. For example, eating chicken causes the most suffering due to how small chickens are and the number of chickens who have to go through factory farms. Milk and cheese consumption overall causes exponentially less suffering than eating meat simply because each cow produces so much milk/cheese. While eating meat requires sending thousands of animals through factory farms and slaughter houses, eating milk and cheese over a lifetime only requires about two to three cows. If you cannot be perfect, eat what causes the least amount of suffering (and help your kids cause even less suffering). 7) As Christians we should only ever be eating one of three types of meat: Plant based meat, clean (cultured) meat, and non-factory farmed based meat. Non-factory farmed meat still involves much suffering so ideally lean towards the first one (and the second one when it becomes available soon). 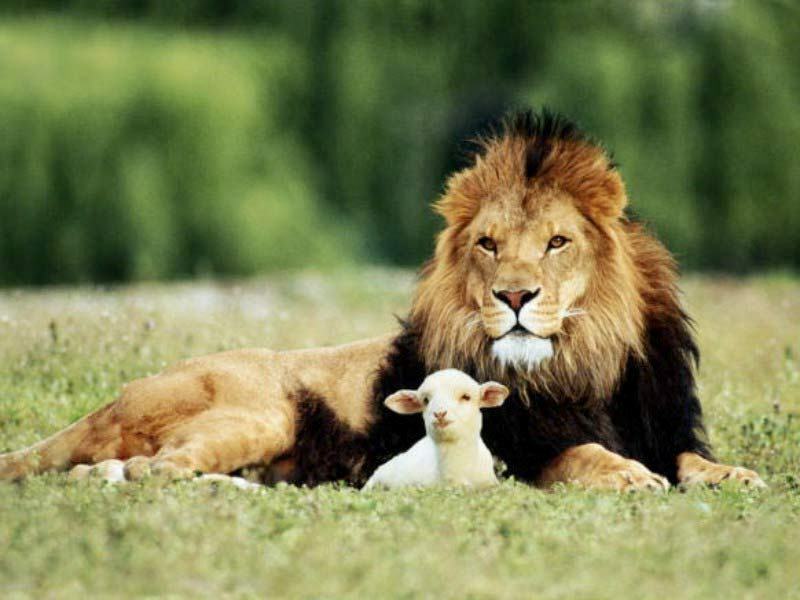 8) Remember that God's dream is for the wolf to live with the lamb and he has promised it to us (Isaiah 11:6-9). Not only will we soon live in a world where we will not harm animals, but soon, even carnivorous animals will not harm other animals. Let's start making God's dream a reality.